I've been putting down food every day now since the snow and replenished the balls in the trees. The birds seem to like it (and need it), not a single crumb remains. 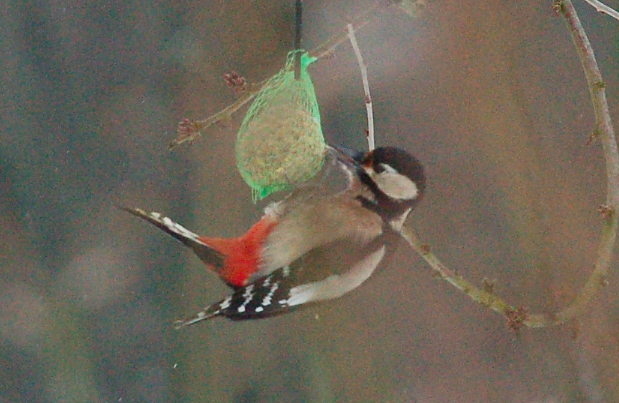 This morning, much to my surprise, a Great Spotted Woodpecker (Dendrocopos major) was dangling off one of the balls. They're usually very shy and easily scared. I managed to grab my camera and take a few pictures. I'm sharing the best one here.